What is a Shoe Horn? 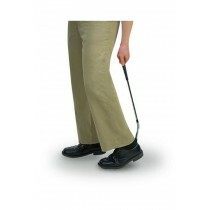 Shoe Horns for Elderly are designed to help facilitate gliding your foot easily into your shoe. 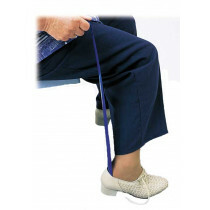 It provides a smooth ramp that holds back the heel of your shoe to provide room for your foot to slip into the shoe without your heel or ankle catching on the shoe while putting it on. 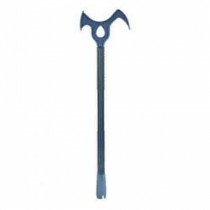 Shoe Horns come in a variety of materials. This dressing aid/tool received the name "shoe horn" because originally they were carved from animal horns and hooves. 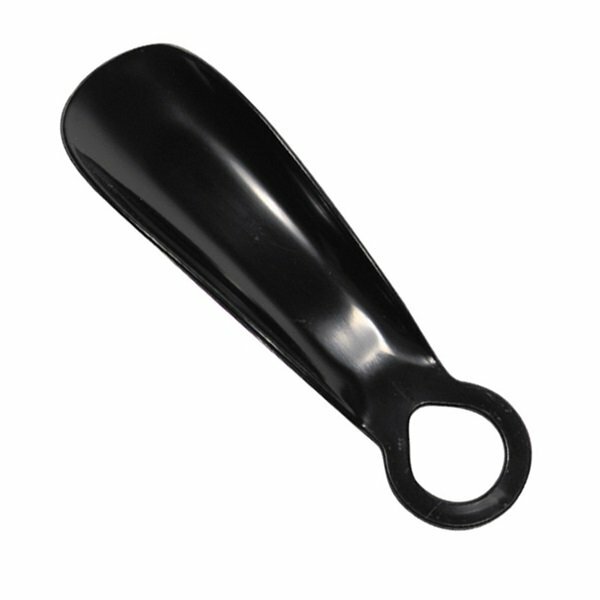 Today, shoe horns are typically made out of wood, metal, and durable plastic. Why Should You Use a Shoe Horn? This tool not only helps you easily put your shoes on from a comfortable sitting or standing position, it also helps preserve the build and structure of your shoes. Putting shoes on and taking them off repeatedly can cause damage and wear on the heels. 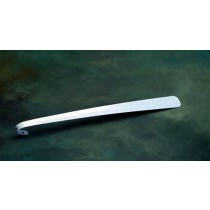 A shoe horn can help keep your shoes looking great, function properly, and remain comfortable. 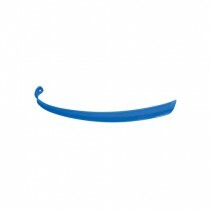 Shoe horns are a handy addition to a wide variety of available and helpful tools, such as the FabLife Non-Folding Open Jaw Reaching Aid and Sock Aids 7 Pull-On Helpers, all are designed to make daily activities less difficult. 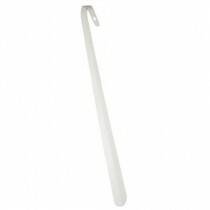 There are a wide variety of available shoe horns, such as a handicap shoehorn, long shoe horn, plastic, and wooden shoe horn. 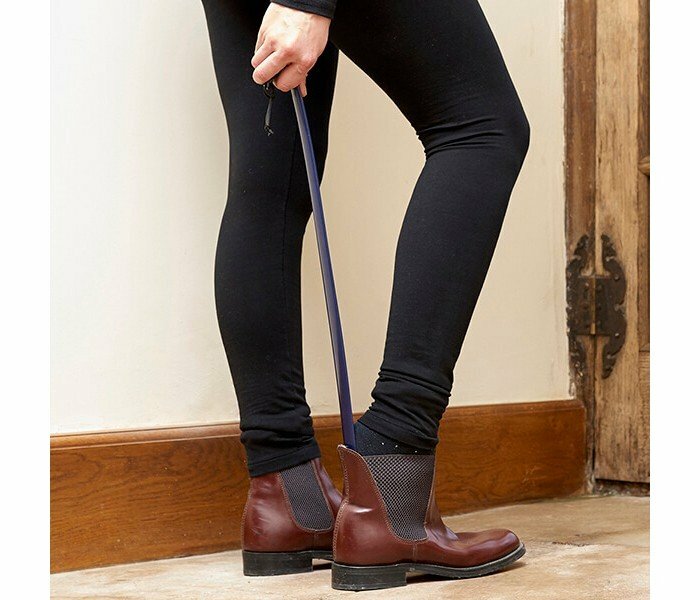 When it comes to choosing the right shoe horn for your needs and routine, it is important to consider how you put on your shoes. For some it is easiest while standing, which makes a longer shoe horn more practical. For others, putting shoes on while in the sitting position can be simply done with a shorter shoe horn. When choosing the right tool for you, consider additional factors that can enhance the ease of dressing, such as if you experience difficulty with balance, a short horn may be the best option for use while sitting. 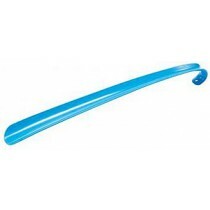 However, if you experience difficulty with bending, a long handled shoe horn allows you to easily put on your footwear without requiring you to bend over.